10 days away from the McDonald’s Coral Coast Sevens and there are already war talks on the title. Defending champion Police are keen to retain the title however 2017 champion First Light Taveuni and Raka 7s champion Tabadamu are already providing talks of challenging the defending champion. First Light Taveuni have highlighted that while they treat everyone as champions they are keen to attain their second win. Tabadamu is confident to add the I Wau Trophy to their success from last year in the Raka Sevens and Marist 7s. The tournament which will be free of entry for fans and is also expected to be the biggest tournament this year. 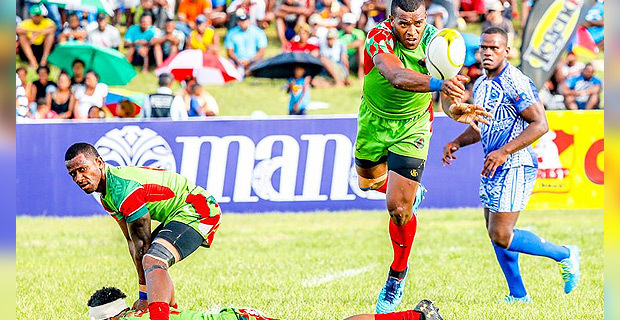 The 2018 McDonald’s Coral Coast Sevens will be held from the 16th to the 18th of this month in Lawaqa Park, Sigatoka.